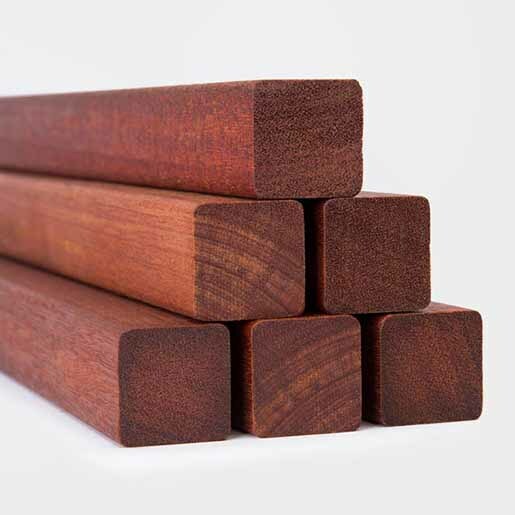 Batu, Red Balau 2x2 Hardwood Balusters Clear Grade net 1-3/8"
Find product details below for our Hardwood Decking Balusters offered in Batu, Red Balau in 2x2, Clear Grade from Nova. Other Names: Shorea guiso, Red Balau, Alan Batu, Selangan Batu, Mangaris, Membatu. 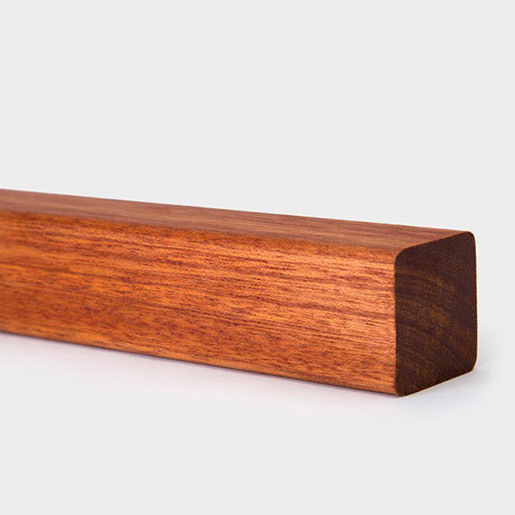 Meranti Batu / Red Balau resembles the rich classic look of Genuine Mahogany. 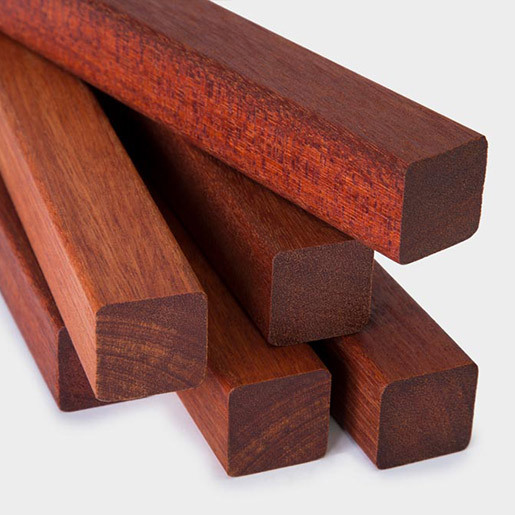 Meranti Batu heartwood ranges from a medium red to a deep red / brown and often has resin canals with white contents in concentric lines on end surfaces produce a warm and visually striking effect; the texture of Meranti Batu is moderately fine and grain is typically interlocked. 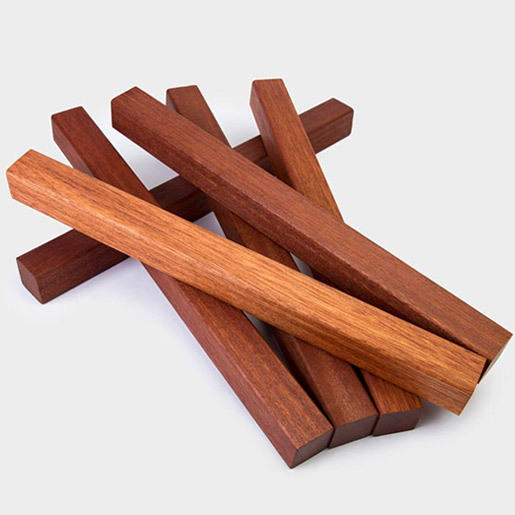 Std & Btr grade material is color matched in most species of wood. 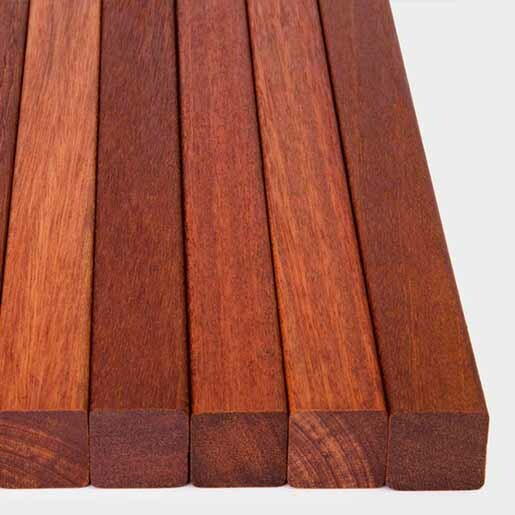 This is the highest grade available in our Southeast Asian decking items. No open defects are allowed on at least one face. Small tight knots, occasional pin holes, and other small non-structural defects are allowed on the back side and edges. The material is all heartwood, allowing an occasional sliver of sapwood on one face and one edge. 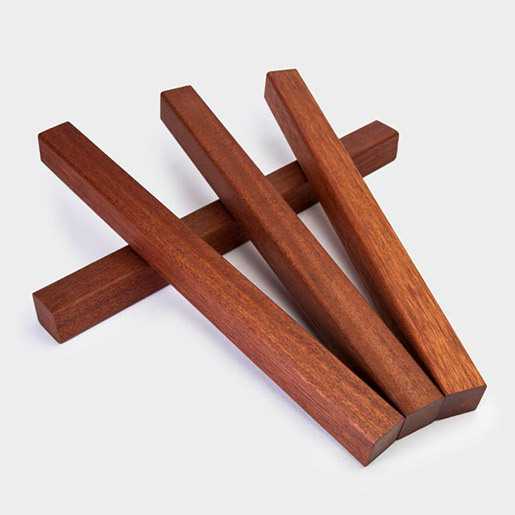 The Nova Batu product line is ideal for customers who want the classic look of Genuine Mahogany plus long-lasting durability and visual appeal with minimal maintenance efforts. Consisting of only a few select species found within the Shorea genus, Batu (also known as Red Balau, Membatu and Mangaris) is known for its hardness, beauty and natural durability. Adding to the product's appeal is the fact that Nova Batu is carefully selected to achieve a nearly blemish free decking with excellent color consistency, superior strength and natural durability. Batu Decking is carefully kiln-dried and inspected before shipment by Nova's own staff at the source. Professional builders and do-it-yourselfers alike will enjoy working with Nova Batu Decking because of its high quality and consistency. Nova Batu Decking is available in 1x4,1x6, 5/4x4, 5/4x6, 2x2, 2x4, 2x6, and 4x4 sizes and can also be supplied in handrail, 1x4 and 5/4x4 T&G porch flooring plus trim boards from 1x8 through to 2x12. 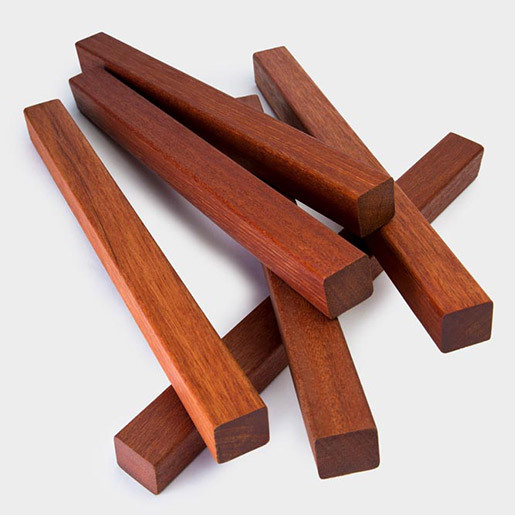 Nova Batu is available in lengths from 8' to 20' and comes in either yard-packed or pulled-to-length units. 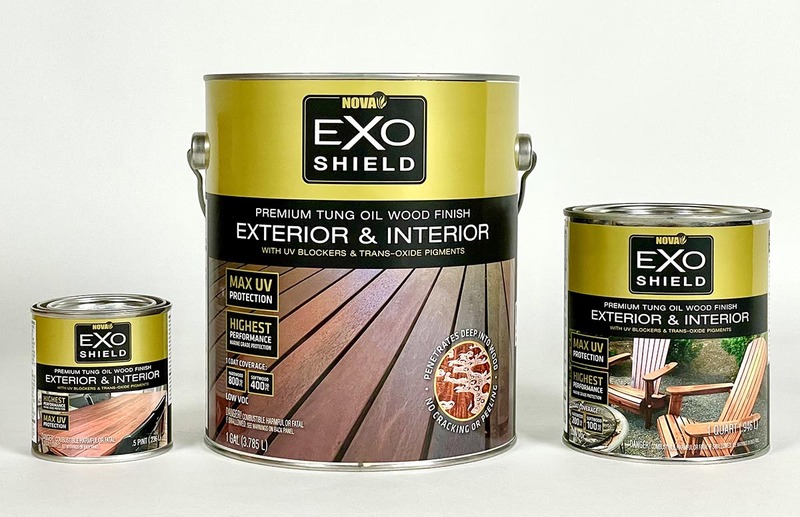 Don't forget to protect your deck with ExoShield, the Best Finish Available. 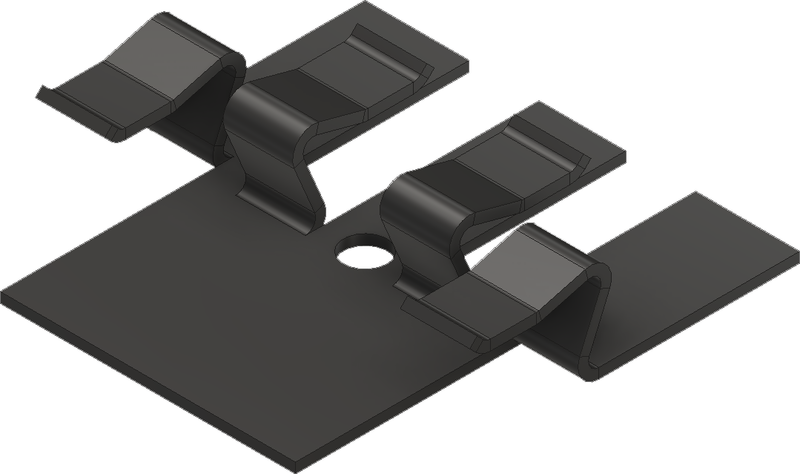 Install your deck with the ONLY spring loaded hidden deck fastener available today - the ExoDek QuickClip.